Strategic skills and the past senior leadership management experience to be able to translate strategy into operational outcomes. Experience in building organisational/managerial culture, and the proven skill to manage change. 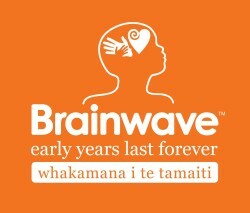 Brainwave Trust Aotearoa www.brainwave.org.nz is a registered charity that was formed as a response to new scientific evidence on the impact that experiences in the early years have on the brain development of a child. Ko tō mātou aronga, kia whakamana i te tamaiti. The organisation’s vision is that all children in Aotearoa are valued and nurtured so they can reach their full potential. The organisational aim is to raise public awareness about new findings in brain research and to facilitate the education of everyone who has an impact on the early life of a child; about the important implications of this knowledge on children’s physical, social, intellectual and emotional development. Working through education and motivation, the intention is to strengthen family and community wellbeing and to reduce childhood abuse and neglect. Informing professionals working with young children and youth so they can use this knowledge in their everyday decision-making and practice is a priority . Sharing information with parents and whānau, secondary school students, prisoners, politicians, policy makers, iwi organisations, judiciary, lawyers; and social workers. Brainwave seeks to create intergenerational change in attitudes to parenting by reaching the next generation of parents. As the Kaihautū, you will provide strategic leadership and direction to a small team that has a large reach. You will strengthen and enhance existing partnerships and grow new ones via your proven organisation development skills. With strong networks in the community, you will have a natural flair for organisational growth and evolution both in the traditional and digital space. With superior financial acumen, the ability to manage risk; and the means to formulate a plan of action and execute swiftly and decisively, your career will have been founded on a proven track record of both strategic and operational contribution to the organisations or teams you have led. You will skilfully manage an annual budget of approximately $1m, and will generate funds through applications to philanthropic organisations as well as through contracts for services. You lead with mana, and will have a broad cultural competency that will allow you to strengthen existing partnerships and stakeholders; to grow and develop future activity. An awareness of and affinity for the needs and aspirations of whānau Māori and their communities are cultural cornerstones of this position. Skills in te reo me āna tikanga Māori are very desirable. Experience in leading or managing within in an education, health, NGO or comparable setting. High levels of accountability – able to make decisions which are justifiable and defensible, whilst being a catalyst for innovation. Confidence in public speaking and interaction with the media. Prior skills in strategic and financial planning, budgets and fiscal reporting. The ability to provide oversight of day to day operational management, planning, reporting, and staff management. The efficient management of budgets, work programmes and contracts. The established ability as a people influencer and people leader. The prior demonstration of establishing, maintaining and enhancing key strategic partnerships. Strong interpersonal skills and a real self-discipline and ability to self-direct. The ability to interpret the subtle nuances of culture. Proven ability to bring diverse and broad groups together. You will know when to ask for guidance from the trustees, and will have the willingness to learn. Applications close on Monday 25th of February 2019 at 5.00pm. To express an interest on a strictly confidential basis please email your cover letter and current CV through to Heather Walker at MANA Recruitment at heather@manarecruitment.co.nz or if you have questions regarding the position, please call on (09) 632 1108. Applications close on Monday 25th of February 2019 at 5.00pm. Job Categories: CEO. Job Types: Full-Time and Permanent. Salary: 100,000 and above.